Welcome to HiTRONS SOLUTiONS INC! Striving to deliver results with you and exceeding expectations. This is who we are. Hitrons Solutions Inc. (”HSI”) is the importer and distributor of Korea’s most innovative and smartest products in North America. Many of our products are unique, patented, and competitive. HSI goes through a rigorous process of incubation, marketing, promotion, and sales in order to provide the smartest Korean products to customers, such as Wal-Mart, Bed Bath Beyond, The Home Depot, Lowes, Target, Candian Tire, Menards, Sams Club, Costco, Sears, Toys R Us, and other top U.S. 100 retailers. We have drop-ship capabilities, a warehouse in USA, customer service capabilities, and friendly, skilled employees who can assist customers’ needs. Our company continues to grow rapidly and persistently. Before 2008, Direct Plus was founded as an official distributor of Samsung Electronics and Appliances in 1998. Toshiba, GE, Whirlpool, and Maytag, carrying 20,000 different products ranging from consumer electronics to home appliances. In 2007, Entrepreneur magazine ranked us as America’s 250th fastest growing company among the Hot 500. We hereby designate HiTRONS SOLUTiONS, INC. as Overseas Marketing Consulting Network to support exporting and overseas investing of Korean small & medium enterprises. This certificate that the company above is designated as an Export Specialized Company for outstanding performance and business credibility, which proves its capacity to support promising small and medium enterprises to increase export and pioneer foreign market. The certification of authorization to appoint HiTRONS SOLUTiONS. 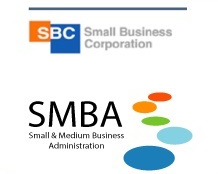 INC, for incubating medium-sized and medium sized businesses in the United State. The Recipient Named Above Is Included in Strathmore’s WHO’S WHO. Inclusion is Limited To Individuals Who Have Demonstrated Leaderships and Achievement in Their Occupation, Industry or Profession.